The National Endowment for the Arts (NEA) has awarded David Rigsbee a 2013 Creative Writing Fellowship, given to “outstanding poets.” Rigsbee is one of only forty poets to receive the grant, out of over 1,000 who applied. Rigsbee’s most recent collection of verse, The Red Tower: New & Selected Poems, was published by NewSouth Books in 2010. David Rigsbee, a native of North Carolina, is the author of numerous full-length collections of poems, including The Red Tower. He is co-editor of Invited Guest: An Anthology of Twentieth Century Southern Poetry and has been the recipient of other fellowships and prizes from the National Endowment for the Humanities, the Virginia Commission on the Arts, the Fine Arts Work Center in Provincetown, the Djerassi Foundation, and the Academy of American Poets. NewSouth Books wishes David Rigsbee a hearty congratulations on this achievement. 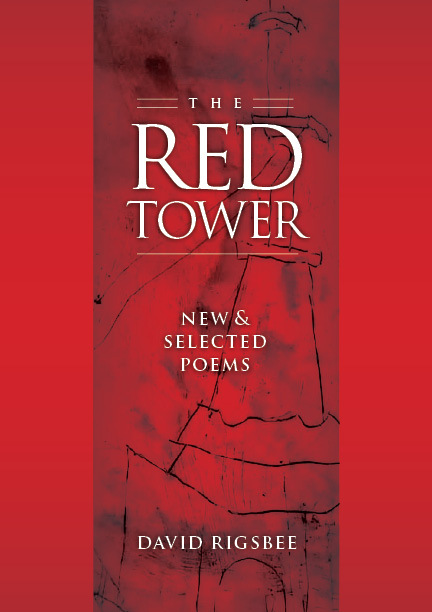 David Rigsbee’s The Red Tower: New & Selected Poems is available from NewSouth Books, Amazon, or your favorite bookstore. The Southeast Chapter of the Society of Architectural Historians (SESAH) gave Dr. Ellen Weiss their 2012 Award of Excellence for her biography of the first academically-trained African American architect, Robert R. Taylor and Tuskegee: An African American Architect Designs for Booker T. Washington, during their 2012 Annual Meeting in Athens, Georgia. Robert R. Taylor and Tuskegee is not just the first biography and a detailed portrait of this important man; it’s also a gorgeous volume that includes over 100 photographs of Taylor’s buildings on the Tuskegee campus and elsewhere, finely annotated by Dr. Weiss. Ellen Weiss, Professor Emerita at the Tulane University School of Architecture, has a produced a significant monograph of an American architect. This insightful work documents Robert Taylor’s great challenges as a student at MIT in the late nineteenth-centry and, more importantly, his role as the first professionally trained African American architect. Taylor achieved greatness as a pioneer in his field, especially in the Jim Crow era, as an instrumental instructor and mentor at the Tuskegee Institute, and as a talented designer and campus planner helping Booker T. Washington achieve his educational vision of racial pride and progress. It is a history both unique and inspiring. The SESAH “was founded in 1982 at the Georgia Institute of Technology in Atlanta to promote scholarship on architecture and related subjects and to serve as a forum for ideas among architectural historians, architects, preservationists, and others involved in professions related to the built environment,” according to their website. They publish Arris – The Journal of the Southeast Chapter of the Society of Architectural Historians. Congratulations to Ellen Weiss on this significant honor. 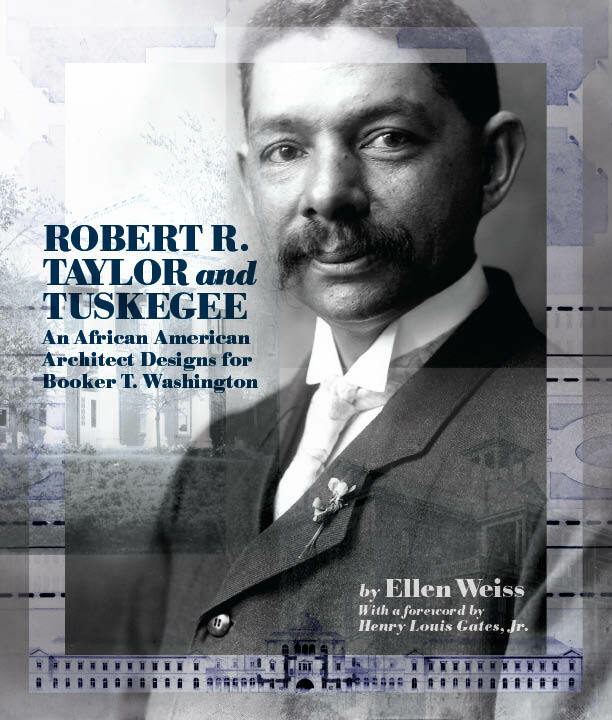 Robert R. Taylor and Tuskegee is available direct from NewSouth Books, Amazon, or your favorite bookstore. 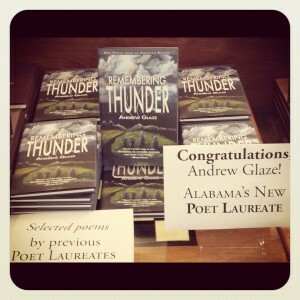 Poet and NewSouth Books author Andrew Glaze received the commission for Poet Laureate for the State of Alabama this past week. In attendance at the ceremony were NewSouth publisher Suzanne La Rosa and Acquisitions Editor Noelle Matteson. Glaze, 92, has published thirteen books of poetry including Remembering Thunder (NewSouth Books, 2002), and his work has also appeared in major literary journals and magazines. Glaze was born in Nashville and grew up in Birmingham, leaving and then returning to the city after serving in the Air Force in World War II. His first major book of poetry, Damned Ugly Children, was a runner-up for the Pulitzer Prize. He will be Alabama’s eleventh poet laureate. A member of the Glaze family has posted a video on YouTube of Glaze receiving the commission from Alabama governor Robert Bentley. “Today we celebrate a man who has made a great literary impact not only on the state, but on everyone who has read his work,” said the governor. A reception at NewSouth Books, co-sponsored by the Alabama Writers’ Conclave, the Alabama State Council on the Arts, and the Alabama Writers’ Forum, followed the ceremony at the State Capitol. Read more about the ceremony from AL.com or the Alabama Writers’ Forum. Remembering Thunder is available direct from NewSouth Books, Amazon.com, or your favorite bookstore. NewSouth also published These I Will Keep, a collection of poems by Alabama’s first nine poet laureates, through Helen Norris, edited by Alabama’s eighth laureate, Helen Blackshear. NPR’s The Diane Rehm Show recently featured a “Reader’s Review” segment, in which a panel discussed Geraldine Brooks’s 2001 novel Year of Wonders: A Novel of the Plague. Included on that panel with Ms. Rehm was Sena Jeter Naslund, author of Ahab’s Wife, who aside from discussing Ms. Brooks’s novel has another connection to the author — both women’s books were mentioned in Frye Gaillard’s recent memoir The Books That Mattered: A Reader’s Memoir, published by NewSouth Books. The Books That Mattered is Gaillard’s “literary memoir,” tracing the books that influenced his own development and thinking, to the present. Among authors included in Books That Mattered are Harper Lee, Anne Frank, James Baldwin, Robert Penn Warren, and John Steinbeck, and also Sena Jeter Naslund and Geraldine Brooks. Year of Wonders, based on true events, follows the townspeople of the village of Eyam in 1660s England; the villagers chose to quarantine themselves with the plague rather than flee and risk spreading disease to other towns. In The Books That Mattered, Gaillard praises Year of Wonders as “one of the first classics of the twenty-first century … aiming as high and reaching as deep as any I’ve read.” Specifically, Gaillard points to Brooks’s examination of unity and fear, and how the latter corrodes the former both in the novel and even in modern times of crisis. Read a transcript of the full “Reader’s Review” panel on Geraldine Brooks’s Year of Wonders from the Diane Rehm Show website. 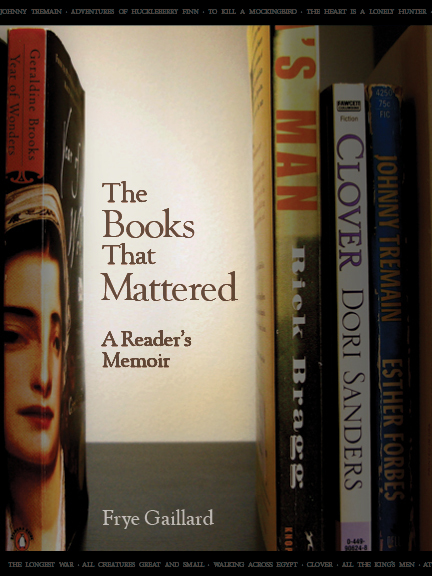 The Books That Mattered: A Reader’s Memoir is available in hardcover and all ebook formats direct from NewSouth Books, Amazon.com, or your favorite bookstore. The MyRecipes.com “You’ve Got to Taste This!” column spotlighted Tasia’s Table: Cooking with the Artisan Cheesemaker at Belle Chevre this past week, and has even included it on their list of cookbooks for holiday giving. Tasia’s Table is the dynamic new cookbook from Tasia Malakasis, who matches her Southern and Greek heritages with her dedication that cooking should be fun and easy, to create recipes that’ll set every mouth watering. Read the full interview at the MyRecipes website. 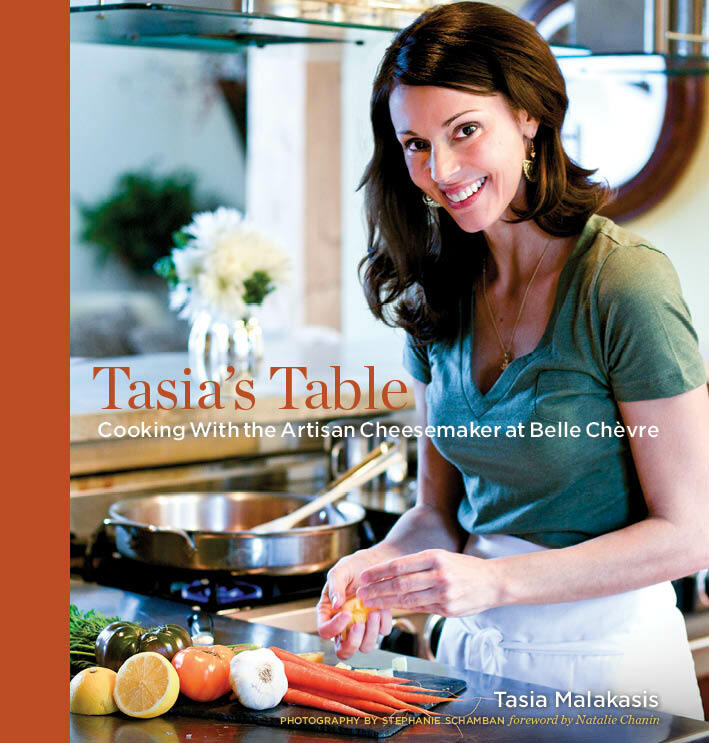 Tasia’s Table: Cooking with the Artisan Cheesemaker at Belle Chevre is available in hardcover and all ebook formats direct from NewSouth Books, Amazon, or your favorite bookstore. 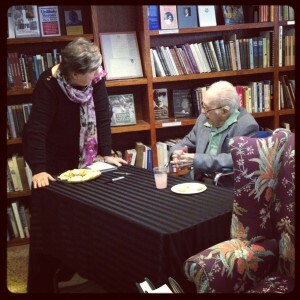 You are currently browsing the NewSouth Books weblog archives for November, 2012.